How to add an intro video on my DVD disk to play before the main menu appears? This is one of the common questions asked on DVD authoring forums. 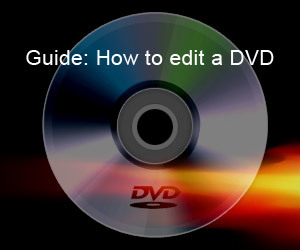 In this guide I will show you how to simply add an intro video clip to DVD. To be specific, the video clip will automatically play before the main menu is displayed and will return to main menu when the play ends, and nobody will find the intro video on your menu page. How to put(combine, merge) multiple DVDs on a single DVD? There are times when your favorite videos are small enough to fit on one disc but they're scattered across several discs. This guide will tell you how to pluck your favorite videos from 2 different DVD discs and combine them on one new playable DVD disc without re-encoding. How to create a basic DVD with Womble EasyDVD?